One of the beautiful things about the marriage relationship is that God not only directs us as individuals, but together as a couple. Two weeks ago, we saw this happen in a very definite way in our efforts to replace our aging vehicle. 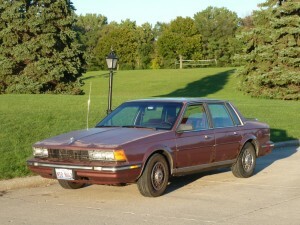 Years ago, my parents purchased a used 1986 Buick from the farmer across the road, and later gave it to me as I branched out on my own. 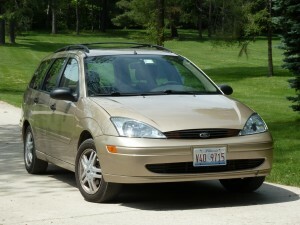 This car served me faithfully on into two years of marriage, requiring only minor repairs that I could do myself. As a single guy, air-conditioning is a nice luxury, but it becomes more important when you are traveling with your wife, especially on long trips. Now with baby Abigail in the back seat, there were additional factors to consider, and we felt that it was time that we look at replacing our 28-year-old car with one that had air conditioning and possibly a little more cargo space. Does God care about things like vehicles? I believe He does. He cares for us as His own children and has promised to meet all our needs as we seek first His Kingdom and righteousness. (See Matthew 6:24-34.) Our search for a vehicle was centered around prayer that God would direct us to His best. 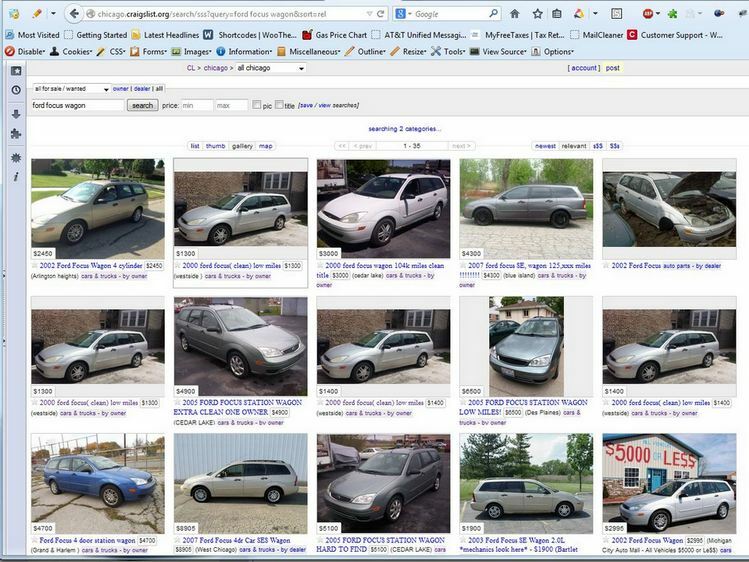 As you might expect, there was not much available on Craigslist for a 2000 Ford Focus Wagon within our desired price range. 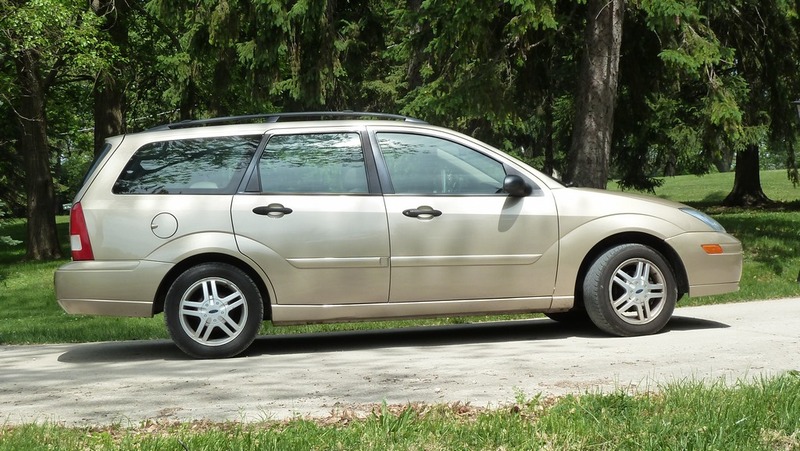 Several days later however, I noticed a new listing with a Ford Focus Wagon for $1,500 or best offer… Hmm… Could this be the one? From the single picture, it looked really nice. No major rust spots or damage. High miles was not really a concern to me, as my family had driven cars like this for years. A phone call with the seller answered some more questions and everything sounded positive. Valerie and I decided to make the two-hour drive to look at the car, praying that God would make His direction very clear. “I think we should probably make an offer on the car.” Valerie suggested. “Did you have a price in mind?” I wasn’t really sure what to say. If the car was really as good as it looked in the picture and description, the Kelly Blue Book value was considerably above $1,500. But somehow Valerie felt that we should offer $1,300 for the car. Arriving at the beautiful country home of the seller, I took my time looking over the car. It was every bit as good as the picture, and the mileage was actually 15K lower than they had advertised. As the seller had described over the phone, the back tail gate did not open but I felt pretty confident that I could repair this. Overall, I was quite impressed. After a test drive, I turned to Valerie for her thoughts. We both felt very good about the vehicle, so we went inside to talk with the middle-aged couple that was selling the car. “Well, it looks pretty good.” I told the seller. “It does look like it will need a little work on the back tailgate,… so would you be willing to negotiate on the price?” She nodded and responded, “Sure. Would you like to make an offer?” I paused and looked at Valerie. Turning back to the seller, I asked if she would take $1,300. What happened next took me completely by surprise. 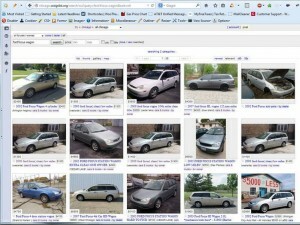 The seller’s face suddenly filled with emotion, and she said, “I think I am going to cry… Would you like it for $1,100?” What we didn’t know is that while we were out test driving the car, she was talking with her husband over dinner. Her husband told her, “If they offer you $1,300, I want you to give it to them for $1,100.” I was astounded! Who but the Lord could have impressed upon Valerie that we should offer $1,300? The seller went on to exclaim, “I can just feel the presence of God in this!” Valerie and I could not agree more. After completing the transfer of title and bill of sale we were getting ready to leave when the seller reached over and handed me one of the hundred dollar bills from the stack on the table. “Here, why don’t you and your wife go out to dinner on the way home.” Needless to say, we were rejoicing all the way home, grateful for the Lord’s provision through the generosity of this couple and amazed at God’s answer to our prayer for clear direction! The following day, I took the back door panel off and found the lock was simply gummed up and stuck from lack of use. With the aid of some cleaning lubricants, the tailgate was restored to normal operation. A do-it-yourself recharge kit brought the air conditioning back to full capacity and we enjoyed a great drive to Nashville and back the following week. What a blessing to see how God provides for His children! He kept the Buick (affectionately known as the “Bronze Chariot”) running for all these years, and then provided us with a beautiful replacement for our needs this summer. It is great to have a car, but even more special when it has a story behind it. –And a good lesson for me as a husband to consider the suggestions of my wife. After all, He impressed Valerie with the exact offer amount that turned an ordinary purchase into a precise answer to prayer and testimony of God’s loving care for us!